1. 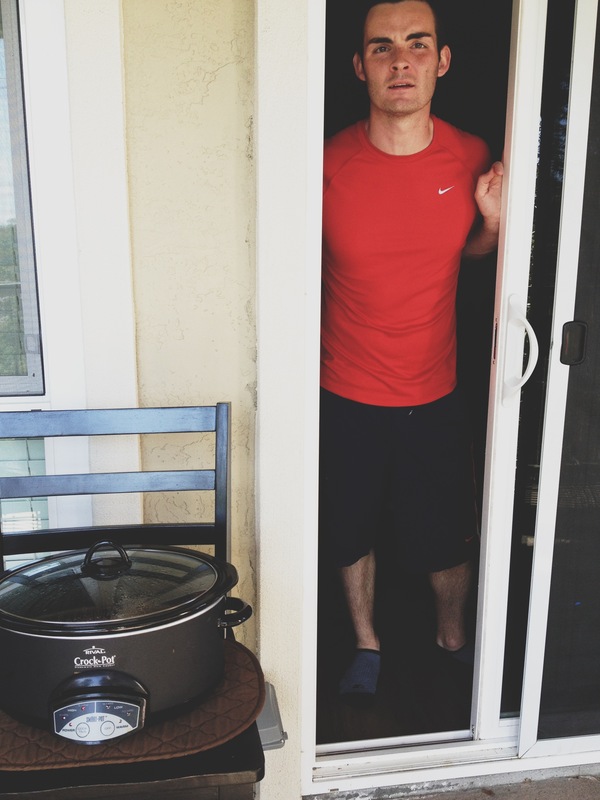 Why is my wife using the crockpot on the patio to cook BBQ chicken? 2. I thought stuffed bell peppers were for dinner?! I LOVE stuffed bell peppers? !